The scheme has been designed by the Driving and Vehicles Standards Agency (DVSA), with the help of motor insurance and driving instruction industries, to develop your skills and knowledge in areas where you may have limited experience. Pass Plus consists of a minimum of six hours´ training and the emphasis is on developing your practical driving skills. There is no test at the end. Instead, you´ll be assessed throughout and you must achieve the objectives within each module to complete the training. Motorway driving is included as one of the Pass Plus modules. Cumbria County Council and Cumbria Road Safety Partnership (CRSP) encourage drivers aged 17-24 years old who live in Cumbria and have passed their test within the last 12 months to register for Pass Plus by contributing part of the cost. Funding towards this varies depending on annual budgets. For the current position please click on the CRSP link. Take a Pass Plus course in Grange-over-sands, a training scheme for new drivers. It is designed to develop your skills and knowledge to make you a safer driver. Your initial driver training should provide you with a varied range of road and traffic conditions, however, this training often takes place on familiar roads around Grange-over-sands or other areas we cover, as there are time constraints and lesson objectives to consider. 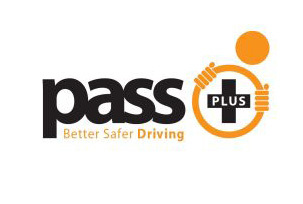 Pass Plus provides the opportunity to drive out of your this area, extending your driving experience safely. You already know how to drive so your Pass Plus sessions will be different to your previous driving lessons in Grange-over-sands. You will develop your confidence and ability to deal with unfamiliar road and traffic conditions under the guidance of your Drive to Arrive instructor.